Wonderful capture. The mushrooms look absolutely comfortable and spongy to jump on if they were ginormous giant ones. The mushrooms look nice and shiny. They are a good bundle. Excellent photo, Sandy! Thanks! The light really made them glow. Right place at the right time for a change! Thanks, Pete. 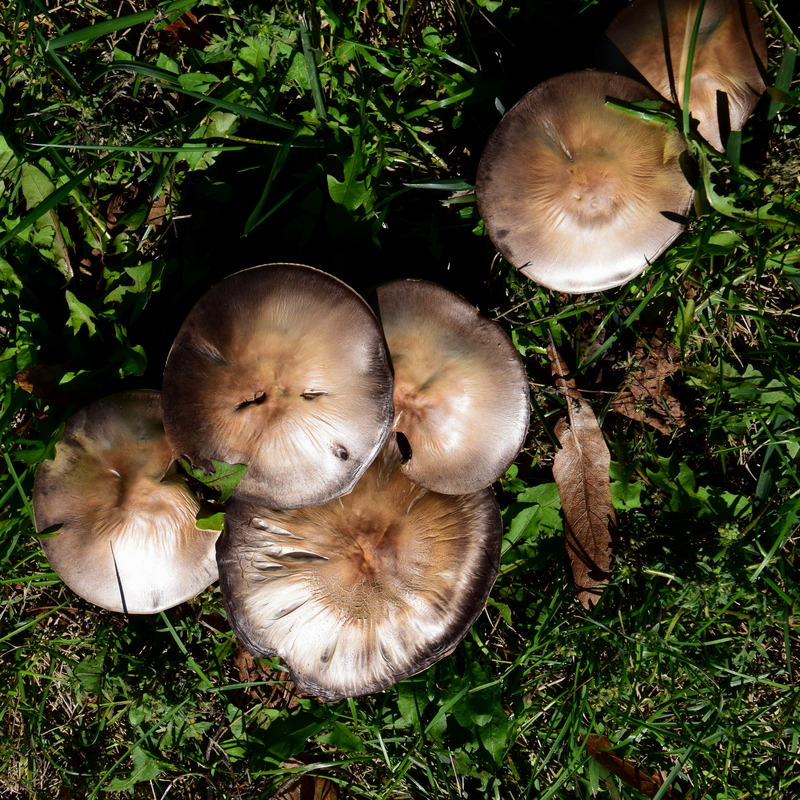 I appreciate that….coming from a true master of fungi photography! You are welcome, Sandy. Thank you! Thanks, Tom. Yes, they are so variable in texture, color and form. Thank you kindly. Glad you enjoyed it. Wonderful Haikus! I really like your blog. I’m glad you found content you enjoy. And thanks for commenting!